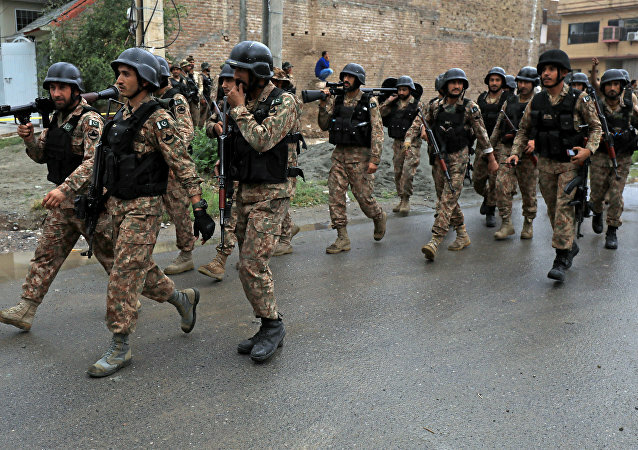 In a joint counter-terrorism operation launched by the Pakistan Army and police in the country’s Khyber Pakhtunkhwa Province, five suspected terrorists were eliminated after 17 hours of engagement. 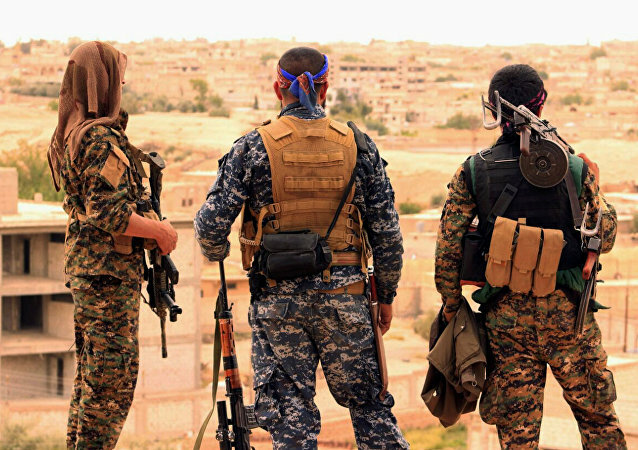 BEIRUT (Sputnik) - Members of the Syrian Democratic Forces (SDF) movement have repelled a number of counterattacks carried out by the Daesh* terrorist organization in the eastern Syrian province of Deir ez-Zor, local media reported. Somebody allegedly meddled with the ICE high-speed rail track in Bavaria early in October. The German media reports that threatening letters in Arabic as well as an Arabic graffiti have been found at the crime scene, although their connection to the terror attack plot hasn’t been clarified. The hacked website’s homepage displayed some Chinese characters on the upper left side for a while before going offline on Friday evening. 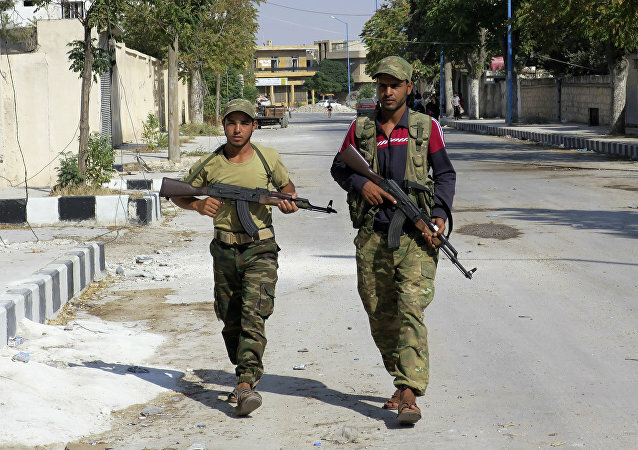 An attempt by Islamic State-affiliated militants to capture a key town and base in southwestern Syria from other rebel forces has ended in a total failure, despite initially making significant progress, the online newspaper AMN reported. The Russian Defense Ministry has released a video of Russian airstrikes that helped to check the US-initiated offensive by al-Nusra terrorists in Syria’s Idlib de-escalation zone and break the militants’ siege of a Russian military police unit encircled in the area. Egyptian expert on political and religious trends Omar Ali Hasan spoke to Sputnik in an interview saying that there is an urgent need to create a cyber army in order to tackle terrorists who are infiltrating young minds online. 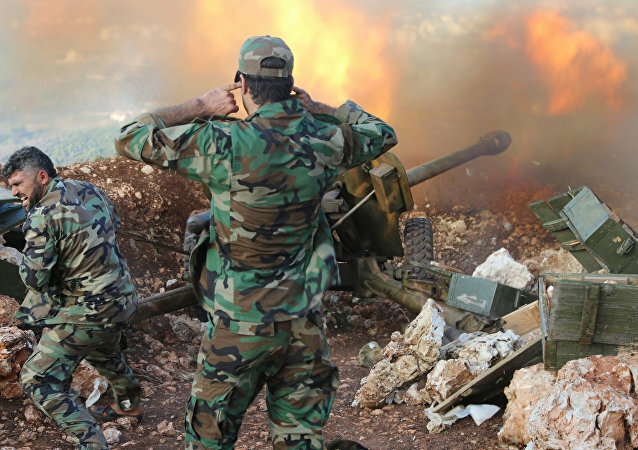 A source told Sputnik that the Syrian government army and allied forces had repelled the Daesh counterattacks in the east of the Homs province. The elite units of the Syrian army continue their offensive on the positions of radical groups in the Jobar area in the east of Damascus. Sputnik correspondent Evgeniy Orel reported that the army managed to kick out terrorists from a complex of buildings near a Krash textile factory and from the offices of an electric company. South Korea has launched a probe into an alleged hacking attack supposed to be conducted by Northern neighbour, Hanjin Heavy Industries & Construction Co., local media reported Tuesday. 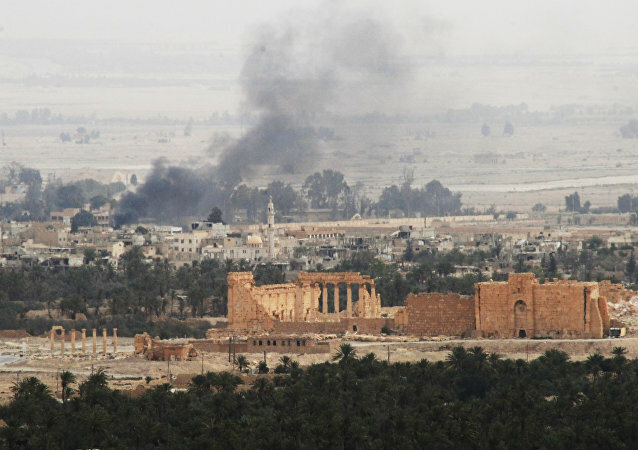 Daesh has begun a counteroffensive against Syrian government forces around the citadel of Palmyra. At least 11 members of Iraq’s counterterrorism forces have been killed in the city of Ramadi partly liberated from the Islamic State (Daesh in Arabic) jihadist group, sources told the Al Jazeera broadcaster. The Syrian army has thwarted terrorists' attempt to counterattack near Palmyra as it continues its offensive south and east of the western province of Homs, the Syrian army spokesman told reporters.